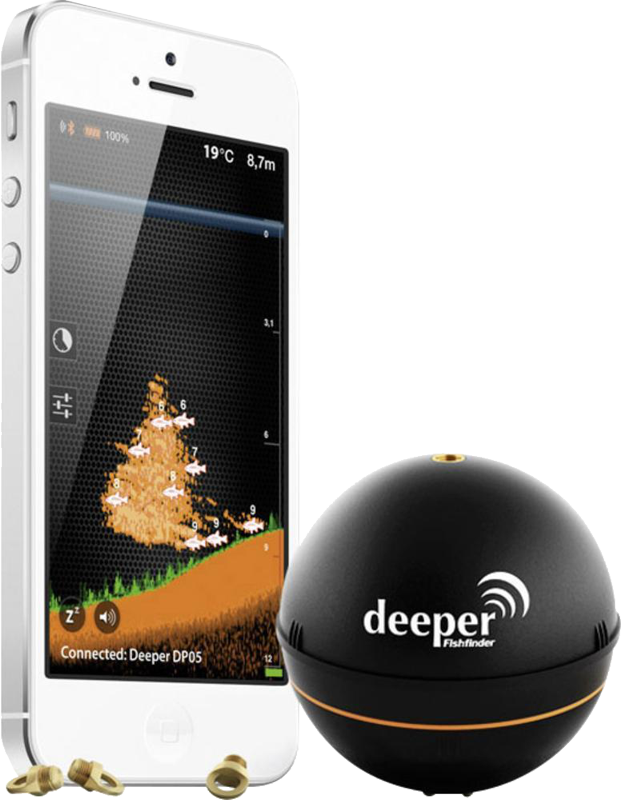 Deeper Pro+ fish finder is the first of its kind portable, wireless sonar, compatible with 7000+ iOS and Android devices, specially designed to find the location of fish, depth, water temperature, bottom contour and much more. 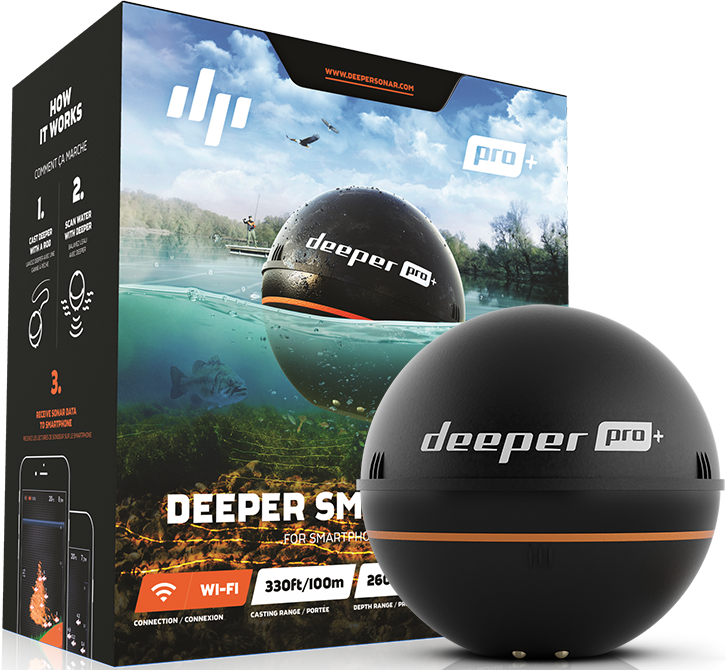 Deeper Pro+ – smart sonar is a first of its kind, portable, wireless fish finder specially designed for amateur and professional fishermen. 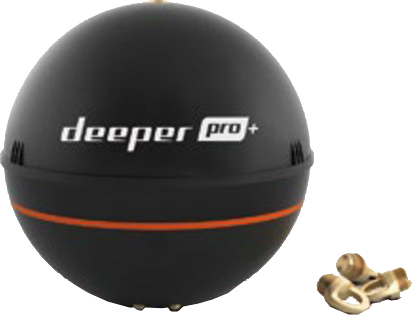 Deeper Pro+ sonar is powerful enough to perfectly function in the depths from 1,5 ft (0,5 m) to ~260 ft (80 m) below the surface in both salt and fresh waters. 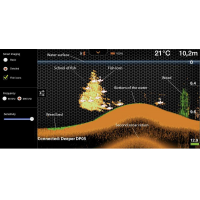 Enhance your fishing experience with the detailed view of the bottom terrain, and fish holding habitat using innovative Deeper Pro+ Smart Imaging technology. 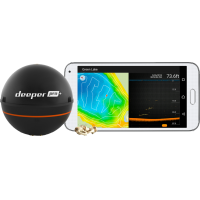 Deeper Pro+ temperature sensors provide accurate fluctuations of the water temperature so you always know the perfect biting time. 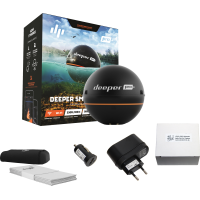 With castable Deeper Pro+ and its mounting solutions you can explore the lake, river or sea from every angle. 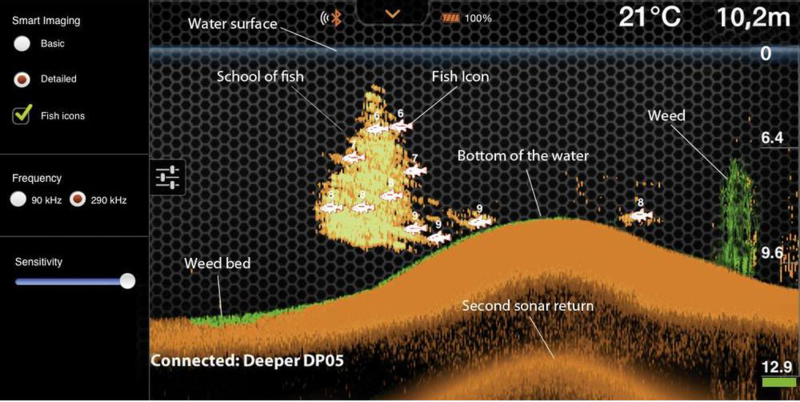 Scan places other fish finders cannot reach. 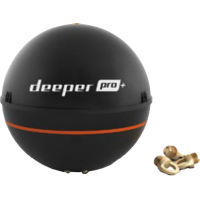 With the weight of only 0.22lb/ 100 grams and 2.6"/ 65mm diameter, Deeper Pro+ is smaller and lighter than any other traditional sonar. 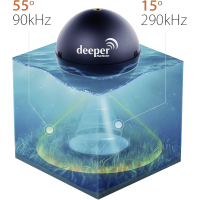 Specially designed to fit into your fishing tackle box, so you could take your personal sonar anywhere you go and use it in places most sonars can't, like from kayak, shore, or dock. 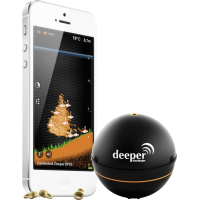 Deeper Pro+ uses Wifi technology to transfer sonar readings to your smartphone or tablet from up to 325 ft/ 100 meters. 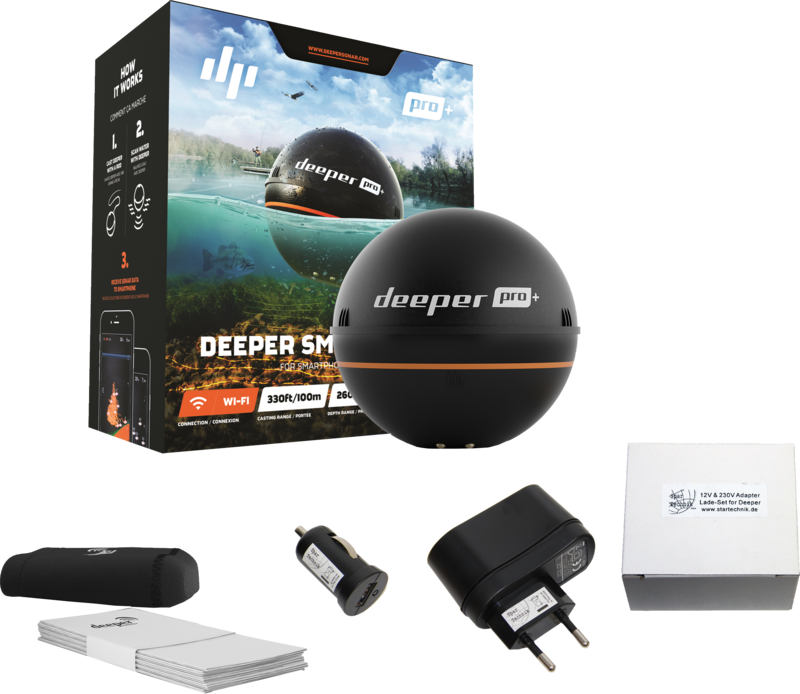 Wifi connection enables lower battery consumption and no cellular data required for the device to operate, so you can use Internet connection on your smartphone or tablet while fishing. 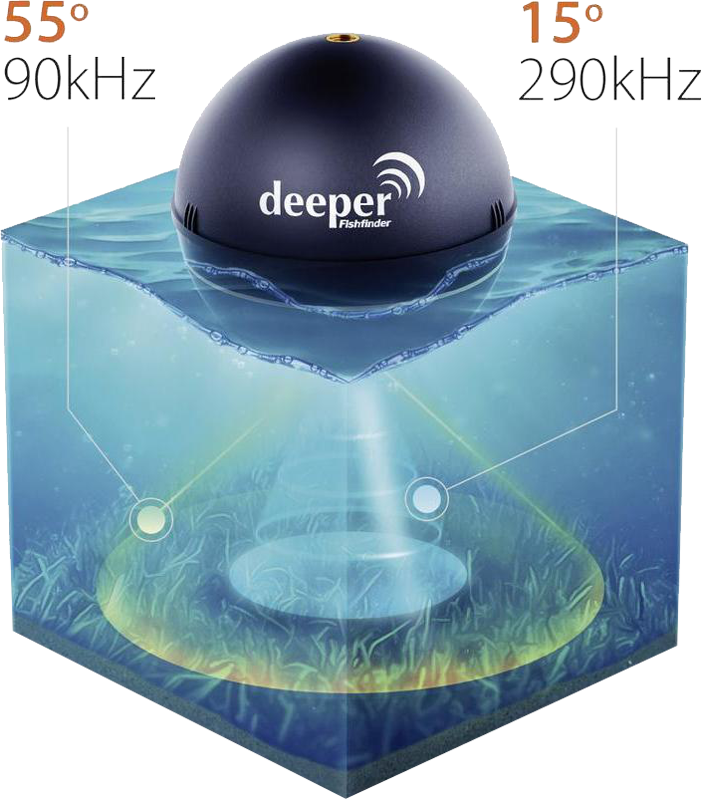 Deeper dual frequency feature allows excellent observation of the underwater at all depths in 90 kHz (55°) and 290 kHz (15°) radius. Wide beam provides ample search area for fish, bait fish and structure. Precise narrow beam gives high accuracy returns of fish, structure, detail and bottom profile. With Deeper Pro+ you can both cast wide or focus on the bottom.